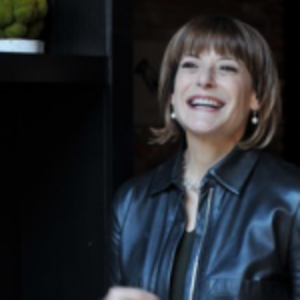 Ora Shtull is a sought-after Executive Coach in New York City, having built a stellar reputation over 15+ years helping leaders thrive at their jobs, get promoted, and land on the “top most powerful” industry lists. 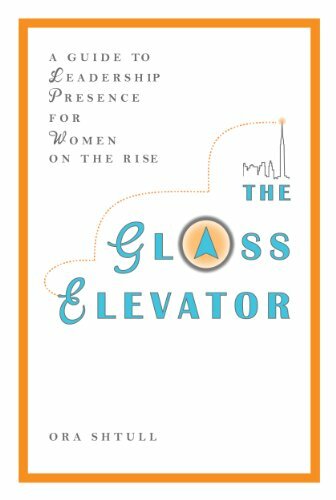 She’s the author of The Glass Elevator: A Guide to Leadership Presence for Women on the Rise. Along with William Arruda, Ora is the co-founder of CareerBlast.TV, a personal branding plus video platform for professionals who want to stand out and succeed. Hey, I’m Ora. I’m a Career Blaster… I’m more formally known as an Executive Coach. I’m hired by companies to help their senior execs thrive professionally and get promoted. People who work with me are happy when their alarm buzzes on Monday morning! I’m doubt-free about my purpose: I’m here on earth to help as many people as possible soar professionally. Hanging in a great coffee shop anywhere with someone I love. Boxing – the non-violent variety. There’s no better workout. With an MBA from Columbia B-School, early on I landed in marketing positions, pushing products I didn’t care about. But, what I did care deeply about were the people around me, and how they communicated and led. Three hours after getting fired from a position in marketing for shampoo (yawn), I accepted my first role in professional development. Fast forward many years…as an Executive Coach, I have the most rewarding job imaginable! Professionals who work with me are thriving, getting promoted, and making awesome transitions. Any emerging industry trends? Any industry opportunities or challenges? Disruption is the word of the day. Every industry – including coaching – is being disrupted by technology. This presents an incredible opportunity to find new ways to deliver…everything. Along with the Personal Branding guru, William Arruda, I’ve launched CareerBlast.TV, a personal branding (plus) platform. We deliver video-based expert strategies so that every professional can stand out and succeed. As a coach, I help my clients see that every obstacle presents opportunity. If someone slams the door on you, find another door to open. If change is blowing up your reality, once everything settles in new formation, unexpected prospects will emerge for you. Coaches often think if they narrow their market, they’ll limit their pool of potential clients. Sorry…no! The tighter your niche, the easier it will be for you to become known, understood, valued, networked, found, and recommended by your clients—your raving fans! Although it seems counterintuitive, the smaller you make your target audience, the larger your practice will be. To narrow your market and broaden your success, think about your favorite clients and identify what they have in common. If you’re just now embarking on your coaching practice, think about whom you would most like to work with, who would benefit most from what you offer, and who would be easiest to attract to your business. Your ideal clients will sit at the intersection of these three elements. Unfair question: I live in NYC! Where should I start?